Team 2 goes litter picking. 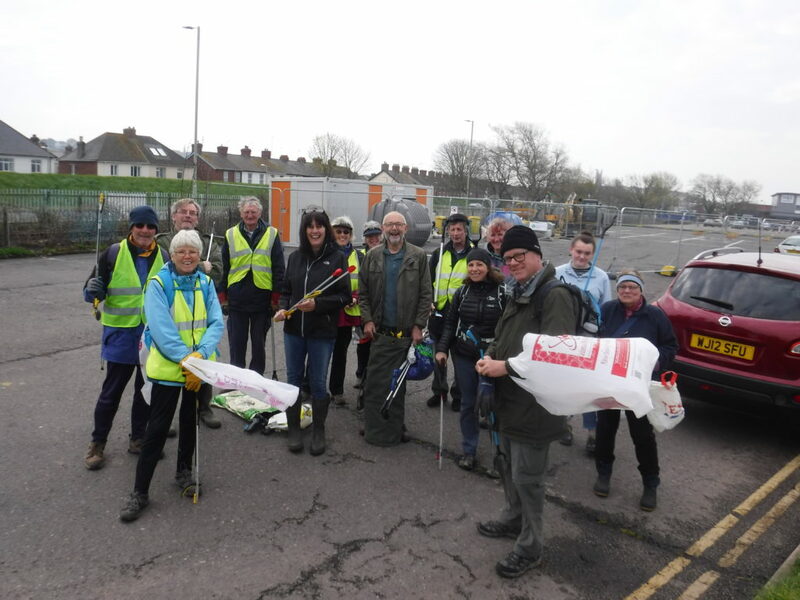 Nine of us joined Clean Street Exmouth and Clean Beach Exmouth for an estuary-side clean-up for an hour. ‘Bloomers’ Mike and Dee were also representing Devon Wildlife Trust, and Jen, the Town Council. 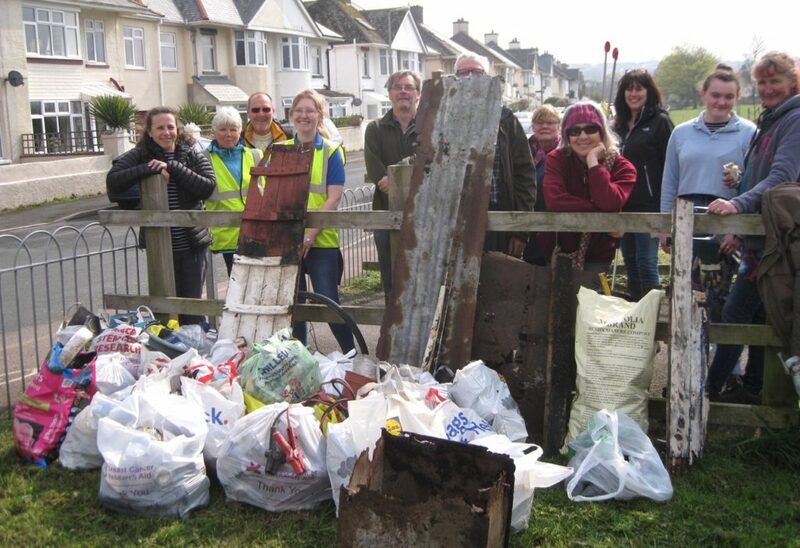 Initiated by Exmouth resident Kate, who also generously provided local pasties for us all at the end, we litter-picked the area from the Boatyard to the Bird hide. This short walk produced a huge amount of rubbish as you can see. 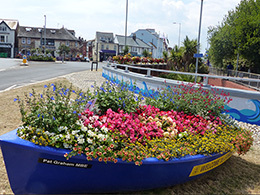 Time to enter our 2019 Local Gardening Competition. Gardening for Wildlife…..Devon Wildlife Trust opens its garden in Exmouth. Full payment for litter picking!